White chiffon ceiling treatments made to size by W Drapings for a birthday celebration. Photo by Concept Photography. 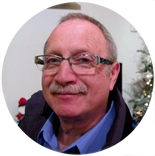 Your experience as W Drapings client starts right at the top, working directly with owner and founder Ernesto Weitz. Ernesto is personally involved in every event, from helping clients refine their vision to ensuring that the styling of the event meets their expectations. He installs the drapes himself, climbing ladders, and going up on hydraulic lifts. Click here to set up a meeting with Ernesto today to talk about your upcoming event draping needs. 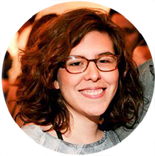 From our home-office in Orlando, Florida, Jenny Ann is in charge of the behind-the-scenes operations of W Drapings. As every item is produced according to the client's vision--and to our high quality standards--Jenny Ann is hands-on cutting, sewing, and hemming up all chiffon details, making sure everything fits right at each event venue. Jenny Ann assists Ernesto in installing event draping. Can you believe they have been married for almost 38 years!? Talk about "a family business." 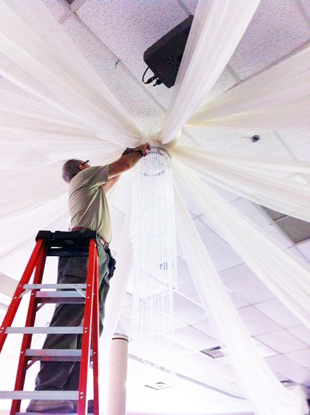 To see the handcrafting process of our custom event draping, click here. Jenny Lynn handles the marketing and communications aspects of W Drapings, from designing ads and promoting the company on social media channels, to submitting proposals and managing client relationships. 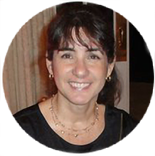 She lives and works in Houston, Texas, with her husband Scott, their son Marco, and their rat-russell terrier, Petey Pablo. If you are curious to see what else she does creatively, visit her studio website. To request your event draping quote, click here. Family-owned and family-operated, W Drapings has created unforgettable experiences by transforming event venues with soft chiffon drapes. Click here to read our company history! Every draping design is produced according to the client's vision -- and to our high quality standards. 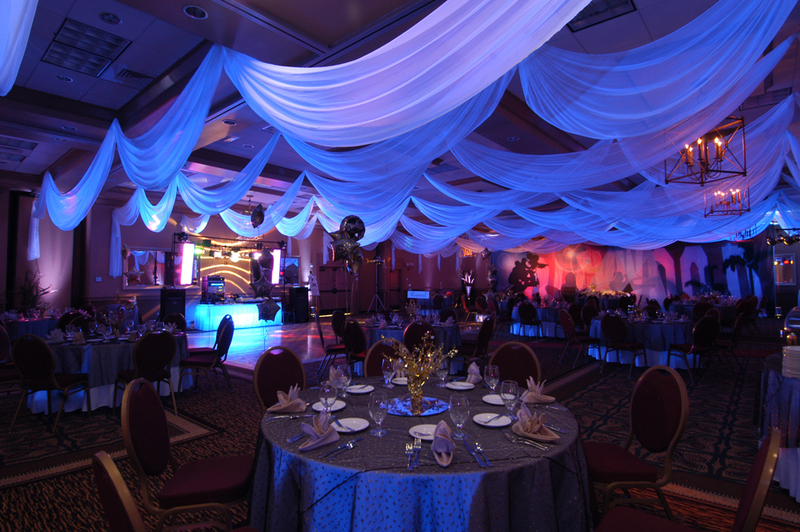 Take a look at our list of event draping services, and let us be part of your event! Make sure to follow us on Twitter, Facebook & Instagram! Ernesto up in the ladder installing white chiffon ceiling treatments and a decorative crystal chandelier for a wedding in Orlando, FL. Photo by W Drapings. Jenny Ann on site the day of installation. This was an outdoor tent at Hammock Beach Resort in Palm Coast, FL. Photo by W Drapings.